We are diamond experts and we want to take the guess work out of selecting center diamonds for our customers. Only the best of the best GIA Graded diamonds are approved by our staff to be set in the center of our engagement rings. All Allurigem center diamonds are meticulously hand selected by our diamond experts. We use the GIA Diamond Grading scale based on the Four C’s to select each important diamond. Our center diamonds will always be graded as an H in color and SI1 in clarity or better. We think that this quality is the most beautiful look for your money. Other quality options are available, just ask one of our diamond experts. Additionally, round diamonds will also be graded as Very Good to Excellent Cut to maximize the brilliance, scintillation and fire of a diamond. At Allurigem we also go above and beyond what many jewelers will find acceptable. Every center diamond, regardless of shape, will include a GIA Diamond Grading Report and many include laser inscription of the Grading Report number on the girdle for easy identification. Our customizable engagement rings are enhanced by many smaller diamonds that are referred to as melee. Diamond melee enhances the overall look of a fine jewelry piece and as much attention needs to be paid to melee quality as the main diamond quality. At Allurigem each accent diamond is precision cut to offer superior light reflection. Additionally, all smaller accent diamonds and melee are graded based on the GIA Diamond Scale and be an average of G-H in color and a VS in clarity. Our attention to detail and quality means that each stone in your ring will shine and sparkle brightly. Each ring contains details that provide the measurement of our products based on our manufacturing specifications. Slight tolerances may be accounted for based on finishing during manufacturing. In compliance with industry standards and FTC regulations, Allurigem states that carat total weight in all purchases may vary 0.05 carats from stated weight. DO YOU OFFER ALTERNATIVE METAL OPTIONS? Yes, we are happy to provide finished pieces in a variety of metal types. Platinum and 18k white and yellow gold are common options, as well as, karat gold alloyed with palladium for customers with nickel sensitivities. ARE ANY OF THE GEMSTONES USED IN YOUR JEWELRY HEAT TREATED OR OTHERWISE ENHANCED? It is a common and accepted practice in the jewelry industry to heat-treat or enhance gemstones in some ways. Most sapphires and rubies are likely heat-treated to enhance their color and other stones, like emerald, are likely oiled to bring out their beauty and luster. Other enhancements, such as filling with a glass-like substance are not found in Allurigem pieces. If you would like more information on gemstone enhancement you may review our journal post or contact a representative at info@allurigem.com. The Four C’s are the criteria that every diamond is graded on. 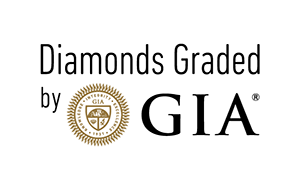 This diamond grading scale was established by the Gemological Institute of America (GIA). Please review our informative journal post or the GIA website for further education. WHY DO SOME 14K WHITE GOLD RINGS TURN YELLOW OVER TIME? In order to give 14kt or even 18kt White Gold a pure white color, it is plated with rhodium. This is a standard practice for 14kt and 18kt White Gold jewelry. Over time, the rhodium plating may wear off. When that occurs, the true color of the white gold (a slightly buttery off-white) will appear. The rate at which this occurs is different for everyone. Another application of rhodium plating is all that is needed to remedy this issue.